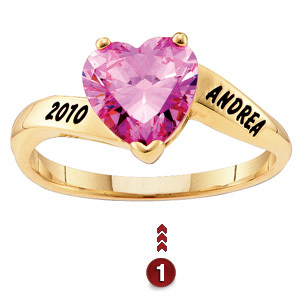 This ring combines name, date and your choice of a synthetic or genuine birthstone. Available in yellow or white gold. Heart shaped gemstone is 8x8mm. Engrave up to eight characters or spaces on both left and right sides of the ring.